Just south of the Arctic Circle is a country of enormous, unspoilt natural beauty with a hugely diverse landscape dominated by volcanoes, geysers, young mountains and glaciers. Sometimes called the land of ice and fire, Iceland is like no other place on earth. In Iceland we work with Íslandshestar (previously known as Ishestar) and Hestasport, two of the most well-known and respected outfitters. Accommodation on many of the rides is fairly simple and the majority of the rides are trail rides. 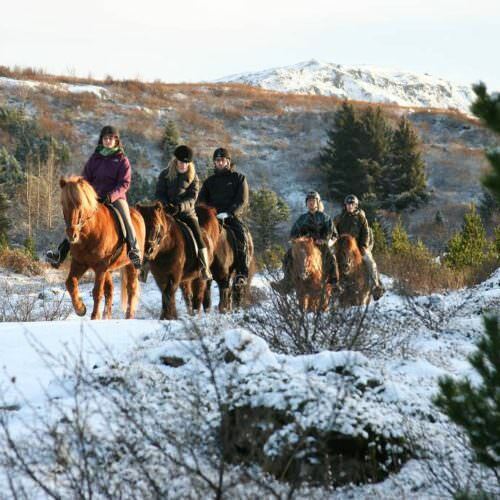 One of the great delights of a riding holiday in Iceland is the herd of loose horses which run with the group, enabling riders to change horses regularly so that their mount is always eager. 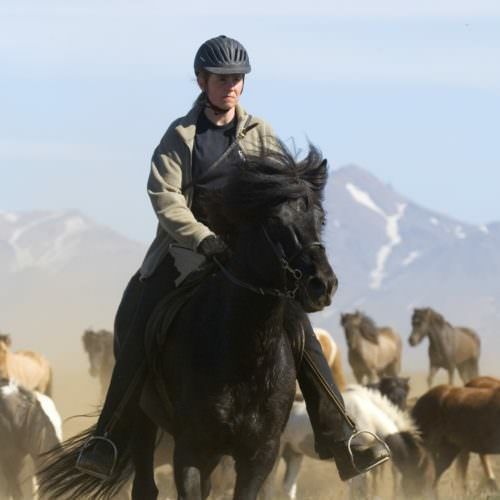 The small but powerful Icelandic Horse is famous for its fifth gait, the tölt. This is a four beat gait like a running walk which can be performed at a variety of different speeds. Iceland is also the land of the midnight sun and the Northern Lights. In the light evenings you may well hear tales of the trolls and elves that dwell in the mountains and valleys through which you will pass. In this country you will believe that anything is possible! 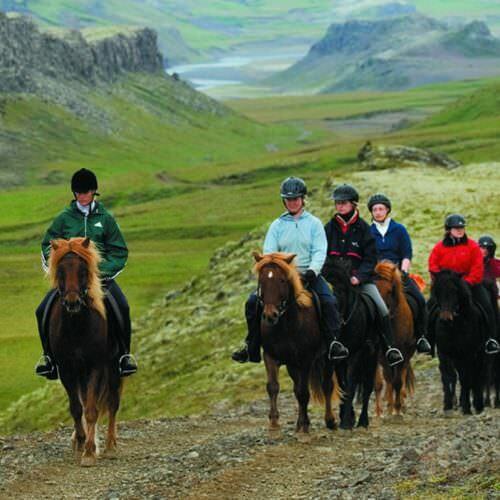 The Icelandic horse is a pure breed and no horses are allowed to enter the country. 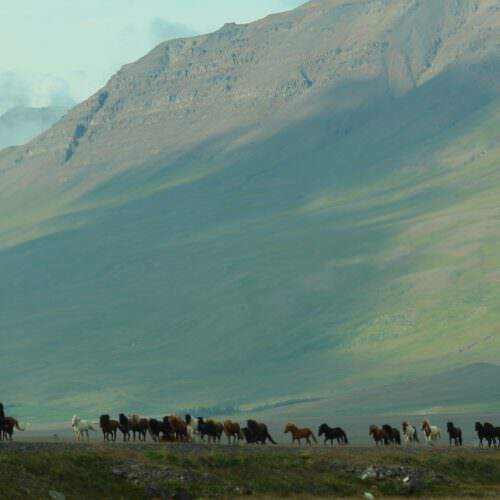 Icelandic horses are not vaccinated and are therefore susceptible to infectious agents from abroad. To avoid the risk of any spread of infection, the country has strict laws regarding riding equipment which may be brought into the country. 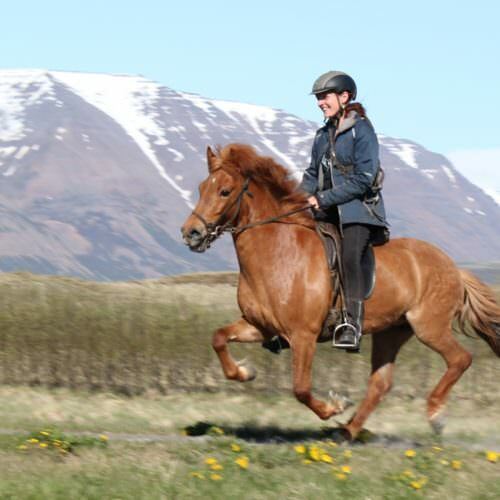 A classic trail ride through the highlands and interior of Iceland running south to north or vice versa on an ancient route across the heart of the country. A remote and beautiful ride staying in basic accommodation along the way. 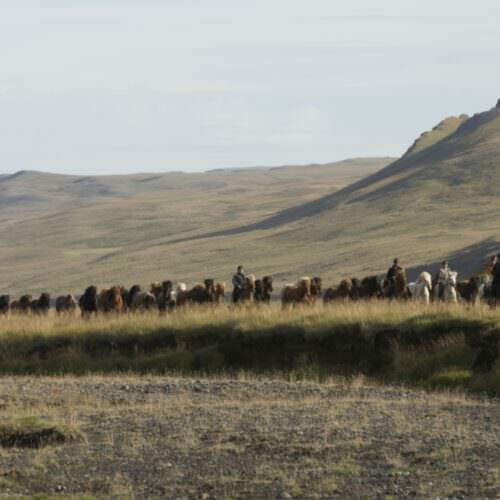 The Round Ups take place in the north and south of Iceland and you will witness the farmers bringing their animals down from the mountains before winter sets in. 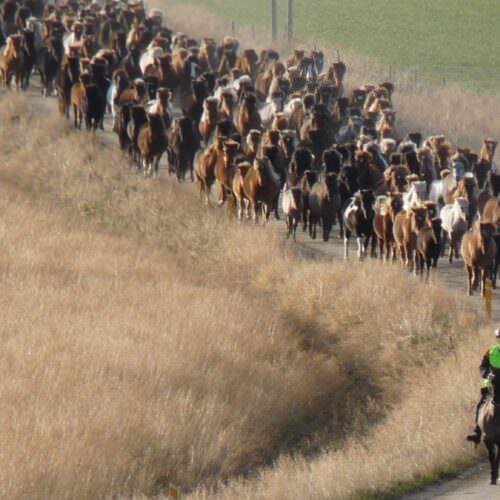 Hours in the saddle can be long and the rides are usually highly sociable as all the local farmers gather to assist. 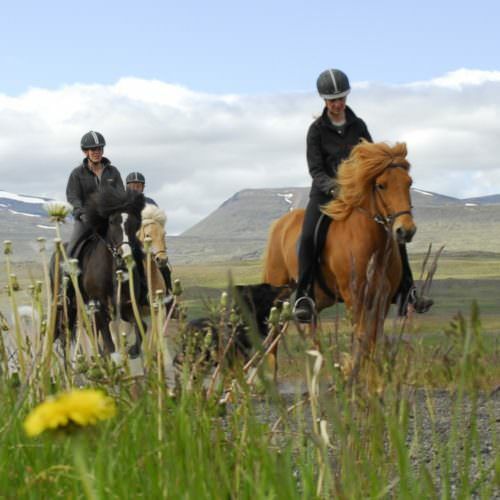 Ride on the Snæfellsnes peninsula, famous for the glacier covered cone volcano Snæfellsjökull. 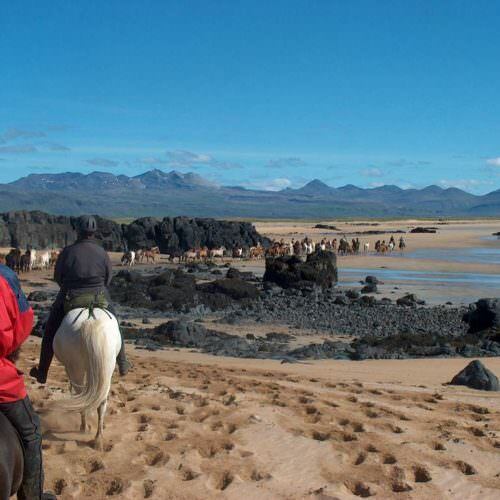 This ride goes through lava fields, green valleys, wide-open stretches of beaches, to the multi-coloured mountains of Hítardalur valley. The full ride has seven nights with six days riding; shorter breaks are also available.